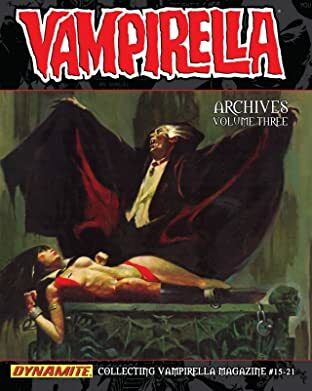 In September 1969, Vampirella #1 debuted with a stunning cover by the legendary Frank Frazetta -- and quickly made publishing history! The writers and artists that contributed during the magazine's original run included Jose Gonzales, Archie Goodwin, Doug Moench, Bernie Wrightson, Barry Windsor Smith, Estaban Maroto, Frank Brunner, Mike Ploog, Ruby Nebres, Richard Corben, Wally Wood, and many more! 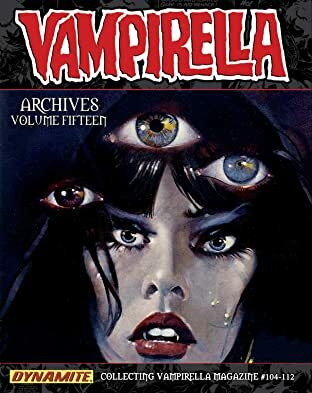 Dynamite now collects this legendary magazine in a hardcover archive edition FOR THE FIRST TIME! 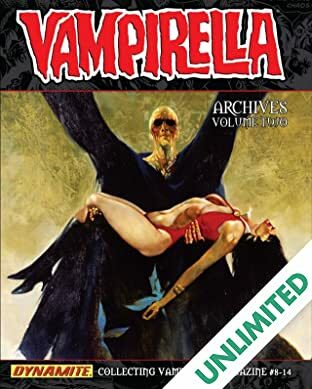 Featuring work by Forest J. Ackerman, Donald F. Glut, Tom Sutton, Neal Adams, Ernie Colon, Billy Graham, Alan Weiss, Jeff Jones, and Frank Frazetta. 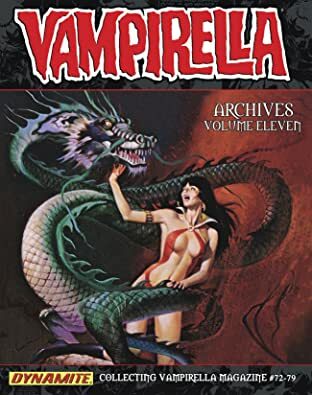 Volume One collects the first seven terrifying issues of the magazine's original run, reprinted in its magazine-sized format, and features the very first Vampirella cover by the immortal Frank Frazetta!